The flagship international exchange program sponsored by the United States Government, the Fulbright Program is designed to increase mutual understanding between the people of the United States and the people of other countries. It promotes leadership development through learning and international cooperation. The Fulbright Program operates in more than 180 countries and has provided over 350,000 participants – chosen for their academic merit and leadership potential – with the opportunity to study, teach and conduct research in each others’ countries and exchange ideas. Approximately 8,000 grants are awarded annually worldwide. Applicants for all programs must be Bolivians who have leadership potential and who represent the country’s diversity, thus contributing to the Fulbright mission of achieving mutual understanding by sharing ideas and experiences between the peoples of the United States and of other countries. The Fulbright Program embraces diversity and encourages applications from all departments and rural areas. The scholarships are very competitive. The academic criteria used for selection are as stringent as those of U.S. universities, including English language proficiency. In special cases, the Fulbright program can provide English language instruction scholarships in the U.S. for students with high academic level and scarce resources who do not have the required English language proficiency. All applicants must have a university degree. 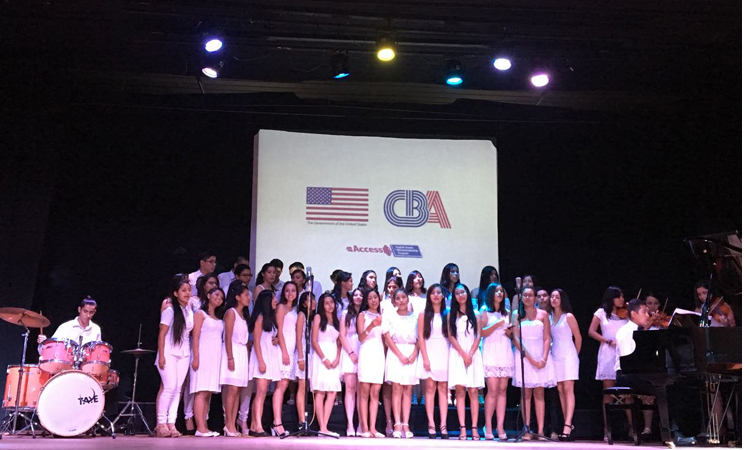 For more information on these and other educational exchange programs offered by the U.S. Embassy, please e-mail LaPazFulbright@state.gov or contact the EducationUSA Advising Center at the Centro Boliviano-Americano (CBA) nearest you. Student Program (IIE) – Provides scholarships to foreign students to earn a Master’s degree at U.S. universities in selected fields. English language training is available for outstanding applicants who have not had the opportunity to study English. Faculty Development Program (LASPAU) – Awarded to faculty members of foreign universities for advanced study (Master’s or non-degree programs) at a U.S. university. English language training is available for outstanding applicants who have not had the opportunity to study English. Scholar-in-Residency Program – Provides grants to foreign scholars to lecture at U.S. universities for one semester or one academic year. A U.S. university must request a scholar in a specific field. English language proficiency required. The Hubert H. Humphrey Fellowship Program – Provides one year of professional enrichment in the United States for mid-career professionals in a variety of fields. Fellows are selected based on their potential for leadership and their commitment to public service in either the public or private sector. English language training is available for outstanding applicants who have not had the opportunity to study English. The Hubert H. Humphrey Fellowship Program provides ten months of non-degree academic study and related professional experiences in the United States. Humphrey Fellows are selected based on their potential for leadership and their commitment to public service in either the public or the private sector. The Humphrey Program fosters a mutual exchange of knowledge and understanding about issues of common concern in the United States and the Fellows’ home countries. The Program offers Fellows valuable opportunities for leadership development and professional engagement with Americans and their counterparts from many nations. More than 4,000 men and women have been honored as Humphrey Fellows since the program began in 1978. Approximately 200 Fellowships are awarded annually. Eighteen major universities in the United States host Humphrey Fellows. These host universities are chosen for their excellence in the Program’s designated fields of study and for the resources and support they offer Humphrey Fellows. The Voluntary Visitors Program offered by the U.S. Department of State provides Bolivian visitors to the U.S. a focused program of professional appointments on topics relevant to the goals of the U.S. Embassy in Bolivia. Visitors must fund their own international travel. U.S. Government funding is available for costs of per diem and travel within the U.S. The Voluntary Visitors program may be of short duration, minimum two days, with four or five professional appointments in one city, or longer, with a maximum of ten calendar days, with various appointments in several cities in the U.S.
Who may participate in this program? Bolivian professionals who would like to arrange meetings in the U.S. that relate to their area of professional expertise. The overall topic of the meetings must be relevant to the goals of the U.S. Embassy in Bolivia. Topic of interest – In one page or less, describe the topic in which you are interested. Include the type of appointments you are seeking, and when possible include the names of the organizations or individuals with whom you wish to meet. Justification – In one page or less, justify your qualifications for participation in the Voluntary Visitors program. In addition, describe how this program will improve your current position and how you will apply the experience you obtain when you return. Biographical Information – Include a current CV or resume. Deadline – Requests must be received a minimum of eight weeks before the proposed program date. To qualify, candidates must present concrete professional objectives. Nominees with previous experience in the United States, especially those that have previously received scholarships from the U.S. Department of State, will be considered low priority. Visitors whose busy itineraries only allow time for one or two professional appointments. Visitors intending to do business during a portion of their trip to the U.S.
U.S. lawful permanent residents or U.S. citizens. Appointments to attend movie screenings, concerts, theatrical performances. Promotional visits to art galleries, editing houses, or companies. Meetings to conduct business transactions. An interpreter may be requested for participants who do not speak English. VIP or protocol treatment is NOT offered. Only those services and resources that the Public Affairs Section and the Department of State have specifically agreed to in advance of the visit will be offered to the visitors. Visitors will receive final program itineraries after arriving in the United States. All materials distributed during the program will be in English. Visitors are expected to follow the established itinerary. The Department of State will allow only limited flexibility in order to include minor changes in the program. Tardiness, or the cancellation of appointments, is not allowed as it could jeopardize the capacity of the Department of State to arrange future appointments for other visitors. Appointments arranged by the Department of State are solely and exclusively for the visitors and interpreter. The presence of spouses, family members, or friends is prohibited. The International Visitor Leadership Program (IVLP) is the U.S. Department of State’s premier professional exchange program. Launched in 1940, the IVLP is a professional exchange program that seeks to build mutual understanding between the U.S. and other nations through carefully designed short-term visits to the U.S. for current and emerging foreign leaders. These visits reflect the International Visitors’ professional interests and support the foreign policy goals of the United States. International Visitors are current or emerging leaders in government, politics, the media, education, the arts, business and other key fields. Over 4,000 International Visitors come to the United States from all over the world each year. Since its inception in 1940, thousands of distinguished individuals have participated in the International Visitor Leadership Program, including more than 326 current and former Chiefs of State and Heads of Government, thousands of cabinet-level ministers, and many other distinguished leaders from the public and private sectors. What do International Visitors do in the United States? International Visitors travel to the U.S. for carefully designed programs that reflect their professional interests and U.S. foreign policy goals. They travel in a variety of thematic programs, either individually or in groups, for up to three weeks. While in the U.S., International Visitors typically visit Washington, DC and three additional towns or cities that highlight the tremendous diversity of the U.S. They attend professional appointments with their American counterparts, learn about the U.S. system of government at the national, state and local levels, visit American schools, and experience American culture and social life. International Visitors also share with their culture and offer insight on best practices and perspectives with their American hosts. 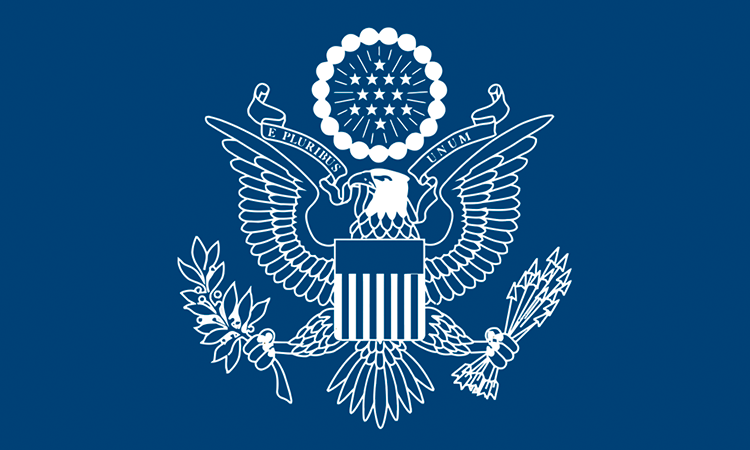 Most International Visitors are accompanied in the U.S. by either foreign language interpreters or English language officers, contractors though the State Department’s Office of Language Services. Not only do they provide language interpretation for the International Visitors, but they also help to explain American society, history, and culture. Who administers the International Visitor Leadership Program? The U.S. Department of State’s Bureau of Educational and Cultural Affairs funds and administers the International Visitor Leadership Program (IVLP). In doing so, the Bureau enters cooperative agreements with National Program Agencies, a group of private, not-for-profit organizations based in Washington, D.C. that design and implement International Visitor Leadership Programs. In addition to the national program agencies, the International Visitor Leadership Program also relies on the commitment and skills of volunteer-based community organizations across the U.S., know as Councils for International Visitors (CIVs). Under the professional association of the National Council for International Visitors (NCIV), local CIV members develop professional programs, arrange cultural activities, and provide home hospitality for International Visitors. There are currently more than 90 CIVs in 45 states. The National Youth Science Foundation (NYSF), Inc. is a nonprofit corporation established in 1983 to provide STEM*-focused programs for students from all across the country and around the world. The NYSF’s flagship program, the National Youth Science Camp, is a four week session in the mountains of West Virginia that combines some of the brightest students in the country with top-notch scientists for lectures and outdoor adventures. Many students return later in their own STEM careers as guest presenters and perpetuate the traditions of the camp. The Winter Institute is a program organized by the US Embassy in La Paz, and the Study of the U.S. Branch, Office of Academic Exchange Programs, Bureau of Educational and Cultural Affairs. The “U.S. 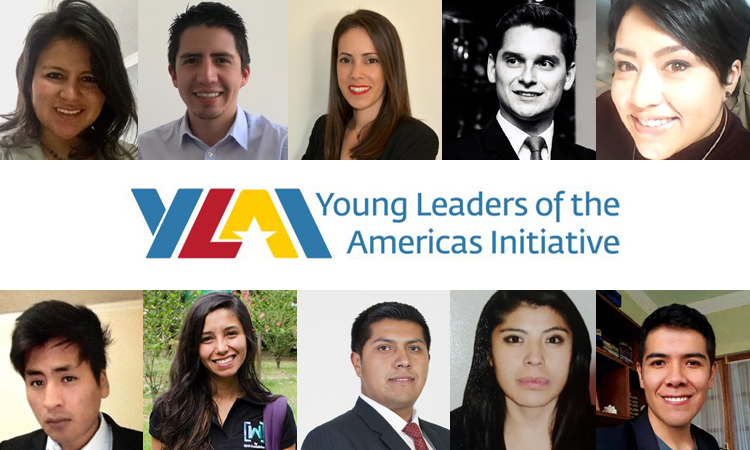 Institute for Latin American Indigenous Student Leaders” takes place during January and February of every given year, primarily at the University of Arizona and Amherst College in Massachusetts. The program is designed to provide a group of highly motivated student leaders of rural/indigenous background from across Bolivia, with a five-week academic seminar and educational travel program that will give them a deeper understanding of U.S. society, culture, values and institutions, while at the same time enhancing their leadership potential and collective problem-solving skills through training exercises and workshops. The students also have the opportunity to interact with some Native-American communities in Arizona and to learn about their history and cultures. To promote science, technology, engineering and mathematics (STEM) studies and international collaborations by providing space-based, academic instruction in a collaborative environment to international, pre-collegiate students while offering an introduction to the aerospace industry.The Foundation for International Space Education, FISE, is a 501(c)(3) private foundation with the mission to provide space-based academic instruction to international pre-collegiate students, while offering an introduction and orientation to the aerospace industry. Develop student awareness of the many workforce opportunities available in the aerospace, life sciences and peripheral industries, and the STEM (Science, Technology, Engineering and Mathematics) education background required. To accomplish the mission and goals, FISE established the United Space School, an educational entity managed, coordinated, and funded by the Foundation. The Foundation is governed by a Board of Directors, with a panel of distinguished aerospace professionals serving in an advisory capacity. The Board strives to ensure a beneficial and enjoyable United Space School educational experience. FISE invites students from various countries to Houston, Texas, to participate in United Space School, which is conducted during July and August. The participating countries and their respective schools are recommended by individuals associated with NASA JSC, as well as various international aerospace and education entities. Many of the countries invited to select students for Space School are currently partners in development and operation of the International Space Station. United Space School’s organization, schedule and curriculum are designed to provide the structure, knowledge, resources, mentoring, and appropriate settings to complete the project, a Manned Mission to Mars. To provide the knowledge necessary to complete the Manned Mission to Mars Project, a curriculum has been designed to provide appropriate training and development by instructors qualified and knowledgeable in the proper disciplines. Civil and contractor aerospace professionals are selected to provide needs-based instruction in topics relevant to designing a manned mission to Mars. Library and on-line research facilities are provided at the University of Houston Clear Lake campus. To enhance and build upon this instruction, the students participate in a variety of space-related activities at the Johnson Space Center, the University of Houston Clear Lake, University of Texas Medical Branch at Galveston, Space Center Houston, the George Observatory at Brazos Bend State Park, the Houston Museum of Natural Science, and/or the Moody Gardens zoological and botanical habitats in Galveston. These activities include a VIP Level 9 tour of JSC facilities, Challenger Missions, a special project at the George Observatory, and an international videoconference on life sciences, bioastronautics, and aerospace medicine at UTMB.